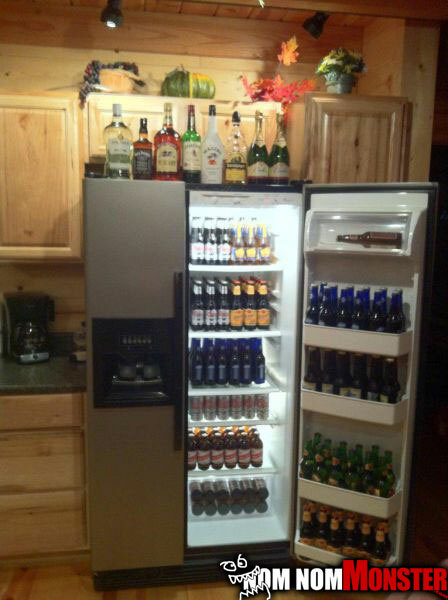 Ahh now this is how you properly fill a fridge. Some people like to have condiments all in the doors, and the shelves filled with random foods and drinks. Well this one is filled with liquid meals at max capacity, and it’ll get you drunk.